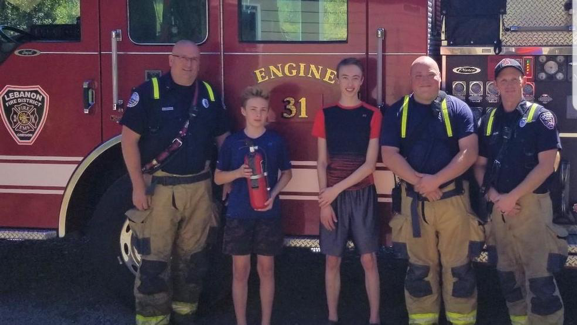 LEBANON, OR – A Lebanon teenager is credited with stopping a kitchen fire in his home after a pan of grease caught fire. The boy’s mother has started cooking on the stove, but went outside and lost track of time. She then realized that there was smoke coming from the kitchen and ran back inside to attempt to halt the flames by putting a lid on the pan. After the mother was unsuccessful in stopping the fire, the teenager used a portable fire extinguisher to put out the flames.